An award is no better than its past recipients. It doesn't matter what the intention of a presentation is; if it is given to the wrong person, it is devalued, possibly to the point where it becomes meaningless. 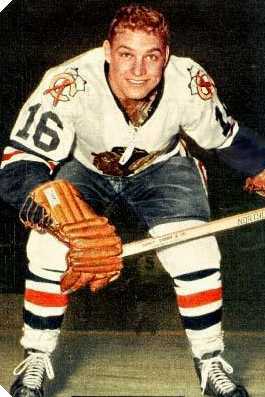 For example, the National Hockey League's symbol of sportsmanship and gentlemanly play, the Lady Byng Trophy, lost much of its meaning in 1965, when it was awarded to legendary goal scorer and notorious roughneck Bobby Hull -- presumably because he always kept one pinkie extended while slashing an opponent in the kneecap. The Lady Byng is traditionally given to someone who is an outstanding player as well as a gentlemanly one, but Hull famously embodied only the first of these two qualities. This made the trophy little more than a second MVP award. Its original meaning has since been restored, but only because today's players and fans associate it with more recent winners like Mike Bossy, Joe Mullen, Ron Francis, and Hull's more mild-mannered son, Brett, who was given the award in 1990. The devaluation of the Emmy Awards, on the other hand, is only gaining momentum. Every year it becomes more evident that the awards are based at least as much on adherence to the politically correct template (gays and feminist lawyers good, ministers and businessmen bad) as on the quality of the productions and performances. While Emmys may still be treasured by their recipients, they no longer serve any purpose to TV viewers, who once trusted the award as an indication of a program's worthiness of their time. One award that has retained virtually none of its original prestige is the Nobel Peace Prize. About a year after Ronald Reagan left office, when the Berlin Wall had fallen and the end of the Cold War appeared imminent, there was a campaign waged by some of the former president's supporters to nominate him for the honor. Just over a decade later, nobody with any respect for Reagan would dream of inflicting a Nobel Prize on him, now that it has been awarded to Mikhail Gorbachev, Yasir Arafat, and a host of other intergalactic menaces. Early last year, Norwegian parliamentary representative Hallgeir Langeland nominated Fidel Castro for the prize. He justified the nomination by arguing that Cuba, despite being a poor country, has generously sent doctors and engineers to developing nations. Perhaps he was talking about those Cuban "doctors and engineers" who aided the overthrow of Grenada's elected prime minister, by lending military support to the illegitimate People's Revolutionary Government. If there is any distinction more dubious than the Nobel Prize, it is Time magazine's annual selection of its Person (formerly "Man") of the Year. During the weeks leading up to the 2001 issue, Time floated a trial balloon, suggesting that it might tab Osama bin Laden for the recognition. Under pressure from its subscribers, the publication instead chose outgoing New York mayor Rudolph Giuliani. Time defended its consideration of bin Laden by arguing that the Person of the Year is not an award, but simply a profile of the year's biggest newsmaker. The editors support this contention by pointing out that previous Men of the Year included Adolph Hitler (1938), Josef Stalin (twice, in 1939 and 1942) and Ayatollah Khomeni (1979). How, then, do they explain their choice of Giuliani, who certainly hasn't been as dominant a figure in the news as bin Laden ... or President Bush for that matter, or John Ashcroft, or even Gary Condit? As explained by the cover article, written by Nancy Gibbs, "[F]or having more faith in us than we had in ourselves, for being brave when required and rude where appropriate and tender without being trite, for not sleeping and not quitting and not shrinking from the pain all around him, Rudy Giuliani, Mayor of the World, is Time's 2001 Person of the Year." This statement doesn't call Giuliani a newsmaker, it calls him a great man. The cover of this issue dubs the former mayor a "Tower of Strength." That sounds remotely like praise, does it not? One might even think it fair to say that Time magazine is honoring Giuliani. So these are the qualifications for Person of the Year: that one must be a brave, strong, loyal, tireless servant of the American people ... or else a demented mastermind of global atrocities. Whichever. Of course, Time would not have praised Osama bin Laden the way it did Giuliani (we hope), but what kind of a message does it send that both men were eligible for the same recognition? With its elastic parameters for determining its Person of the Year, Time contextually equates men like Eisenhower, Churchill and Martin Luther King with the likes of Hitler, Stalin, Kruschev, Khomeni, and Deng Xiaoping. Time's website features reprints of all the previous years' Man/Person of the Year profiles. Not only does it show that there is no moral standard applied to their selections, but the articles seldom describe their subjects in stark terms of good and evil. The portrayals of Hitler and Khomeni are the only entirely negative ones in the whole lot of them. Stalin, among others, was given far more understanding. The 1939 portrayal of the Soviet butcher made no mention of his brutality for the first twenty-one paragraphs. Then it patiently explained that, "Despite the disastrous purges, despite the low opinion that J. Stalin & Co. held of human life, Soviet Russia had definitely gained some measure of respect for its apparent righteousness in foreign affairs." By 1942, any trace of the dictator's murderous tendencies was expunged. He was our ally, after all. The only hint of his abuses against his own people appeared in the dismissive conclusion that "Stalin's methods were tough, but they paid off." If you think that sounds generous, get a load of this one: "What other war aims Stalin has are not officially known, but there are reports in high circles that he wants no new territories except at points needed to make Russia impregnable against invasion." Oh, is that all? Well, occupation of every country bordering the Soviet Union ought to do the trick. Time has not been nearly so forgiving with Republicans, at least not with any between Ike (1959) and Rudy (2001). Reagan received the best treatment among the rest of them in 1980, although the cheery profile of the Gipper was loaded with backhanded compliments to the effect that he had succeeded in spite of his extremist political beliefs. Nixon was slammed in the 1971 issue (though not without reason) for his numerous vacillations and exaggerations. In 1995, Newt Gingrich was presented as a tantrum-throwing prima donna with delusions of grandeur (again, not without reason). And, of course, George W. Bush (2000) was described as an illegitimate president who had yet to prove himself worthy of the office. The worst by far was the number Time did on W's father in 1990, in what it cheekily called its "Men of the Year" issue, that featured "The Two George Bushes." The cover projected two images of President G.H.W. Bush onto a single portrait. After giving him measured praise for his foreign policy successes in preparing Operation Desert Shield, the article introduced the "other" Bush under the heading "AT HOME: A CASE OF DOING NOTHING." "Bush's feckless approach to America's ills is no accident," it asserted, "but a conscious strategy for defending the status quo." One might deduce from this that he'd been in the pocket of the powerful pro-ill lobby. The author identifies the source of Bush's problem as his repeated capitulations to the right-wing "crazies" of his party. That's a strange criticism, considering that his great domestic policy debacle of that year was that he broke his "read my lips" pledge, by signing the Democrats' massive tax hike as part of the 1990 budget deal. If Bush appeared as a two-faced Janus, one might expect Bill Clinton to be depicted as a nine-headed Hydra. Of course, anyone who is familiar with Time's political leanings would have known better. On the cover of the 1992 issue, Clinton strikes a coquettish pose more reminiscent of Audrey Hepburn than of any previous leader of the free world. Accordingly, the article inside treated him with extreme delicacy. Among the reasons given for his selection was that, "Clinton's campaign, conducted with dignity, with earnest attention to issues and with an impressive display of self-possession under fire, served to rehabilitate and restore the legitimacy of American politics and thus, prospectively, of government itself." And you thought reading the Starr Report would make you want to puke. Bill Clinton has been accused of a lot of things over the years, but dignity? What's even worse, this saccharine display of suckuppery, penned by Lance Morrow, implies that the U.S. government owes its legitimacy to the personality of the Man from Hope. Even Clinton himself never made that obnoxious a statement until after his impeachment trial, when he bragged that he'd "saved the Constitution" by beating the rap. It sounds as if Morrow may have been receiving talking points from Clinton's dignity czar, James Carville. Even the enthusiastically supportive piece on Jimmy Carter, from the 1976 issue, was tempered by frequent suggestions that he wasn't exactly the most affable man you'd ever want to meet. This warts-and-all approach has been the standard for the P.O.Y. issue over the years. Yet Time couldn't manage to find so much as a blemish on the dainty visage of Princess Bill. Not only is the P.O.Y. series amoral and slanted, but it is often inane. In 1982, Time changed the title of the issue to the "Machine of the Year," and named as the winner, The Computer. It must have felt honored. In 1988, the name was changed to the "Planet of the Year." You'll be pleased to know that the winner was Earth -- which surged past a slumping Mars, and held off a late-season rally by Neptune, to win the conference title. Actually, the subject of that '88 issue wasn't simply the Earth; it was "Endangered Earth." Eugene Linden's cover article bemoaned ozone depletion, overpopulation, endangered species, acid rain, and the rest of the usual bogeymen, while declaring that, "Nearly every habitat is at risk." It wasn't the Earth that the magazine was honoring, but the alarmist environmentalist Left. How does this fit into the "biggest newsmaker" argument that Time used to justify its consideration of bin Laden? Nobody remembers 1988 as the year that the Earth was endangered. The only criterion that Time used to select Endangered Earth was that it was what Time wanted to write about. No explanation is ever really necessary for determining the Man-Person-Machine-Planet-Onion-Mollusk-Tree of the Year, because ultimately, it is a tribute not to the subject, but to Time magazine, and its self-perceived power to create the news. The greatest person or biggest newsmaker of the year is who it is because Time has made it so. All it takes is a wave of a magic pen to create the desired reality: one in which Stalin wasn't so bad; Gorbachev and Deng Xiaoping are heroes; former president Bush is a schizophrenic basket case; the Earth is endangered; and Bill Clinton is dignified. Now that subscribers have decided to hold the magazine responsible, it is paying tribute to Rudy Giuliani, for being even more deserving of its attention than Osama bin Laden. This would be a good time for Rudy to exercise some of that appropriate rudeness the people at Time love him for, and tell them where to stick it.